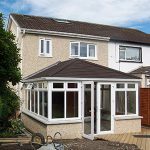 Window Fitters – Based in Port Talbot, A-Rated Home Improvements has been providing local homeowners situated throughout South Wales with various high quality window, door and conservatory installations for just over five years. 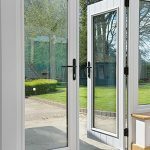 We’re regularly able to maintain such an impressive and customer-appreciating level of service, largely thanks to our experienced team of in-house installers. Due to the hard work consistently put in by our committed and knowledgeable members of staff, A-Rated Home Improvements has continued to grow year upon year, expanding our area of service to allow more homeowners to enjoy their dream home. 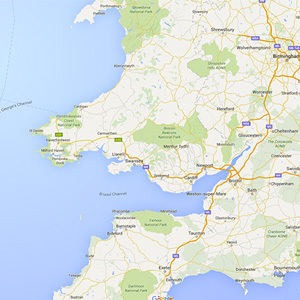 Our Window Fitters cover everywhere from Ceredigion, Pembrokeshire, Carmarthenshire, Powys, Neath Port Talbot, and all the way up to Monmouthshire – Meaning no-one in South Wales need feel left out. Every one of our fitters and installers has been accredited under FENSA and approved to install windows and doors to always be fully compliant with industry standards to help offer homeowners greater protection against any potential cowboy builders or rogue traders. When opting for A Rated Home Improvements to work on your next project, a reliable installation is always guaranteed. With a company name like A Rated Home Improvements, each window fitted by our team comes A Rated as standard, requiring a specific and high level of knowledge to live up to this promise first time, every time. Whether traditional in style or more contemporary, no home need suffer from sub-par energy efficiency. Whether it’s your intention to improve your home’s stylistic kerb appeal, enhance energy efficiency or just generally create a more secure environment to give you and your family better peace of mind, our team have experience improving these aspects and more, providing a level of skilled service that only serves to add further value to your home. As well as this, our team of installers purposefully go out of their way to respect every environment in which they work in, treating every home as if it is their own to deliver an all-round tidy and efficient installation service. To allow you to enjoy your new entrance door, replacement windows or expansive conservatory space as soon as possible, we feel this sentiment is essential.